Are you looking for solutions to gain more space in your home without sacrificing any currently usable space? If you are, we can provide the solution you have been looking for at Firtree Builders. For your homes in North London, lofts can be converted into living spaces, utilising otherwise unused space. To find out more about our loft conversion services, please call us today on 07957 574 604 or 0800 270 7764. If you are finding you require more space but don’t want to go through the hassle of moving to a bigger property, our loft conversions services are the ideal solution. In properties that have lofts North London clients will agree that they are often unused space going to waste. At Firtree Builders, we can give your house another room without using up any more space by converting this section of your house. Your North London lofts are usually just somewhere you use for storage, but with our services you can convert this space into an extra bedroom with en-suite. Some can even accommodate two double bedrooms with a separate shower room, so rather than letting your loft go to waste, get in touch with us. Converting your loft space costs between £30,000 and £40,000, but it adds so much more value to your property by adding more bedrooms. When you hire us to convert your lofts North London clients can rely on us to take care of the whole project. From architectural planning and structural calculation, through to the build phase and final building control sign off with all necessary certificates, we handle it all. 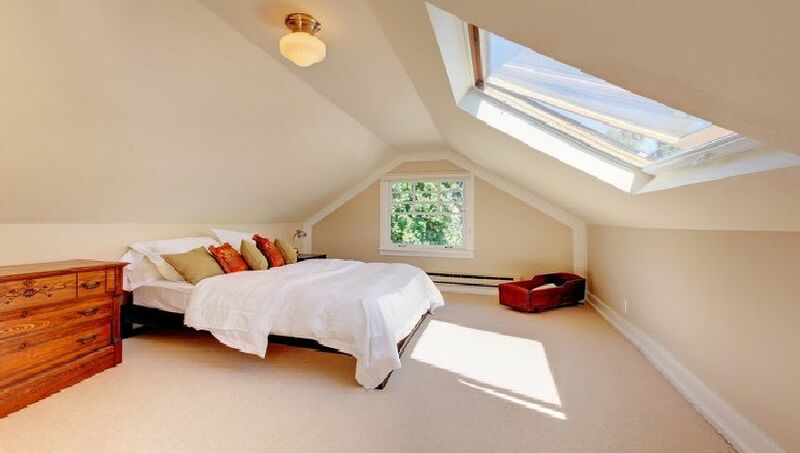 Additionally, a loft conversion doesn’t require planning permission like home extensions would. This is because they come under permitted development, so there’s no lengthy planning issues and we can complete most conversions within 6-7 weeks. If you are still unsure whether converting your lofts in North London is the solution for you, we provide a free consultation. This means you have nothing to lose by contacting us about your options, and we will be more than happy to answer any queries you may have. Please take some time to browse through our gallery of past projects, including North London lofts we have converted. We believe these before and after photos accurately show our high level of quality. Why Choose Us To Convert Your North London Lofts? When it comes to undertaking services to create more space in your home, converting your lofts in North London is the perfect solution. At Firtree Builders, we are an established building company with years of experience in providing both high-quality loft conversions and home extensions. We can work alone, taking full responsibility for a project, or we can work alongside your architect, structural engineer or designer. With our years of experience in the building industry, we bring levels of understanding, insight, and commitment that enable us to give you the help and essential advice you need. This is in order to optimise the space and construction of your project. We also provide a level of finish that sets our conversions of your North London lofts apart from our competitors. When you are contemplating our services to convert your lofts North London clients have nothing to lose with our free consultation and quote. We can advise you on all of your options, and the price of our loft conversion services, all with no obligation from you to hire us. The team at Firtree Builders are ideally placed to convert your North London lofts as we are located in Enfield. When you combine our location with our expert services and competitive prices, you’ll be hard pressed to find better loft conversions services than ours. To find out more about our services to convert your North London lofts, or to book your free consultation, contact us today on 07957 574 604 or 0800 270 7764. Alternatively, you can fill in the form on our website and a member of the Firtree Builders team will respond as soon as possible.